The Association has been built by the efforts of thousands of volunteers. 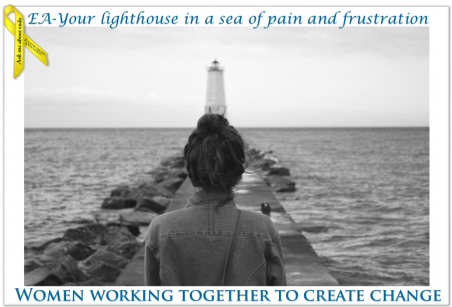 Thank you for your interest in helping advance the mission of the Endometriosis Association. By helping each other we help ourselves! An Ambassador is an authorized Endometriosis Association member representative who works closely with EA to help grow the endo movement worldwide. An ambassador understands that by working together we are more likely to find the answers. This role focuses on taking action, distributing materials, assisting with support efforts, awareness and events. The Endometriosis Association began Endometriosis Awareness Month in 1993; it has become a worldwide observance with education, fundraising, activities, and marches. In honor of “Endometriosis Awareness Month” in March, free informational brochures in 30-plus languages are available through the Association for distribution to friends, family, schools, and healthcare providers. Handle crisis calls as needed and as your schedule allows – training provided. Interested in doing a fundraiser to benefit the Endometriosis Association? Wonderful! No matter how big or small your event is—every penny helps in our fight to increase awareness and find a cure! 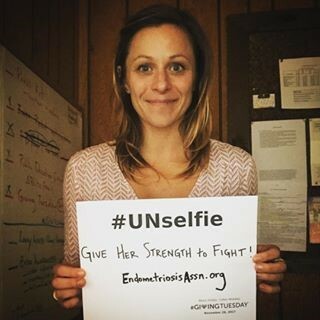 Email support@EndometriosisAssn.org to request a fundraising kit to help you get started or start now here: www.Facebook.com/EndoAssn/fundraisers! The address is 8585 N. 76th Place, near the intersection of Brown Deer Road and 76th Street. We have ample free parking and are near a bus stop. Please note: We have a no fragrance policy in our offices. Help international organization reach constituents around the globe. Packaging, labeling, picking, and mailing. Flexible hours from 8:30-5:00, Monday-Friday. Our garden needs you! We have a beautiful setting and need assistance weeding, planting, and mowing! Would your family, friends, or service group be willing to tend our garden until the fall? (Please note that we do not use any toxic chemicals—the gardening must be all-natural.) Even one time weeding would be greatly appreciated! Like books? Care about women’s health? Organize, catalog, and reshelve small private women’s health library. Flexible hours from 8:30-5:00, Monday-Friday. If you have data entry skills and care about women’s health, we’re looking for you! Flexible hours from 8:30-5:00. Monday-Friday. Learn more about volunteering at the Endometriosis Association by contacting us today. For remote and HQ volunteer roles, please contact (414) 355-2200 or support@EndometriosisAssn.org.